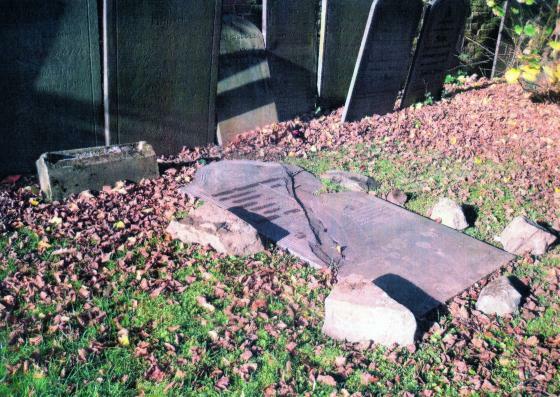 This headstone was discovered out of sight in November 2015 and will be restored to its position by the wall. The description of 'Gardener' at the Temple really means that he farmed several fields for the Temple owners and cared for the immediate Temple Gardens. The fields are generally those just past the Temple on the south side of Westfield Lane. 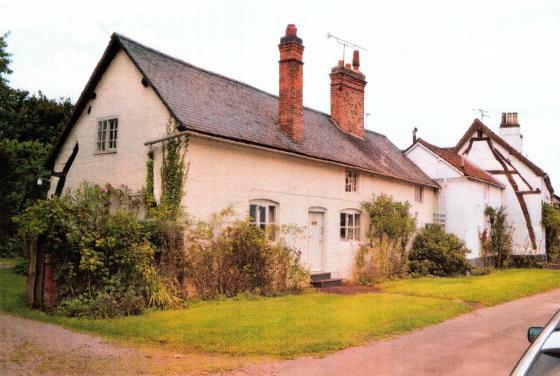 Their son, Thomas, born in 1816, followed in his footsteps and added more land to the tenancy. 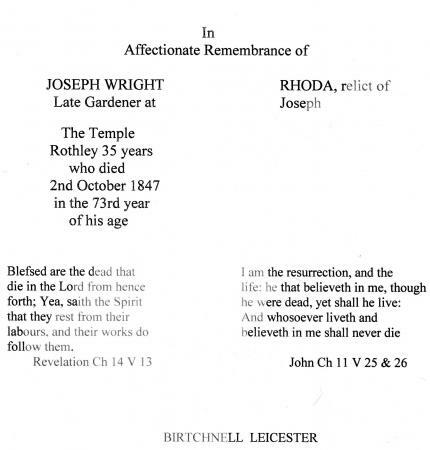 Joseph's wife, Rhoda, died/buried on the 21st March 1864. Their farmhouse on the edge of Rothley Park is shown below. With thanks to Frank Whitby and Terry Sheppard for their discovery of the headstone, the full inscription and for working on its restoration. XHTML 1.0 validated. WCAG compliant. Page generated in 0.2235 seconds.